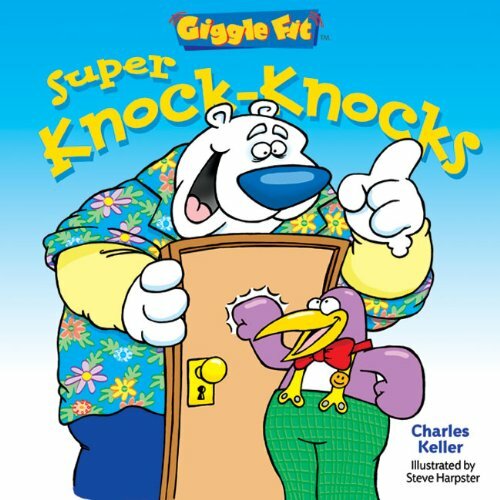 Giggle Fit: Super Knock-Knocks by Sterling at Cmc Schools. Hurry! Limited time offer. Offer valid only while supplies last. Some super serious silliness has come to call. No need to check the peep-hole to identify these visitorsjust ask! Knock-Knock. Who’s there? View More In Jokes & Riddles. Some super serious silliness has come to call. No need to check the peep-hole to identify these visitorsjust ask! Knock-Knock. Who’s there? Beagles. Beagles who? Beagles and cream cheese. Or, Knock-Knock. Who’s there? Clark Kent. Clark Kent who? Clark Kent come, he’s sick. And remember this classic: Knock-Knock. Who’s there? Denise. Denise who? Denise is de sister of de nephew. Share the laughs with parents and friends!